The Google+ jokes are played out and while some are probably pretty funny this week, we’re yawning because it’s closing on April 2, 2019. It’s not that we predicted Google+ failing or pretend to have some sort of secret knowledge on what makes a social media platform succeed or fail, we just didn’t use it. I just didn’t use it. No one did. In the beginning, Google+ was a lot of fun. There were new communities and you could make “circles” with your friends and it seemed like something that could possibly out-duel Facebook. Instagram was less than a year old and not owned by Facebook. Twitter was truly riding high. No, really. It launched on June 28, 2011 and, at that time, it was thought that it could be a player in the mainstream social media game. 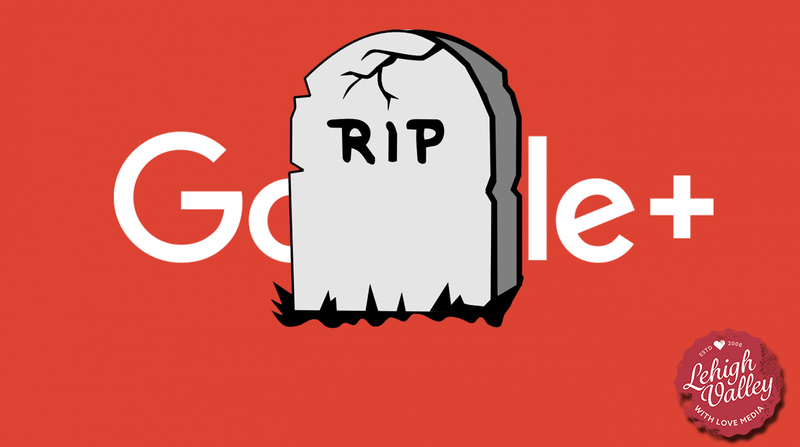 Google+ was a platform that catered more toward groups and allowed some pages to shine. Sadly, it just didn’t last long at all. We’re talking maybe 6 to 7 months before casual social users had probably abandoned it and a year or three after until most social media managers abandoned it. (If your social media manager or contracted company was pushing Google+ on you later than 2016, please email us at info@lehighvalleywithlovemedia.com. So long, bud. You kinda were cool for a bit.